When we decided to have backyard chickens, it was clear we needed to include our neighbors. Over time, it came up casually in conversation with the ones who lived on both sides of us, but now that chicks are two weeks away we needed a more formal outreach. So I came up with an idea: Egg baskets. Matt and I bought six baskets, and an assortment of egg-shaped candy. 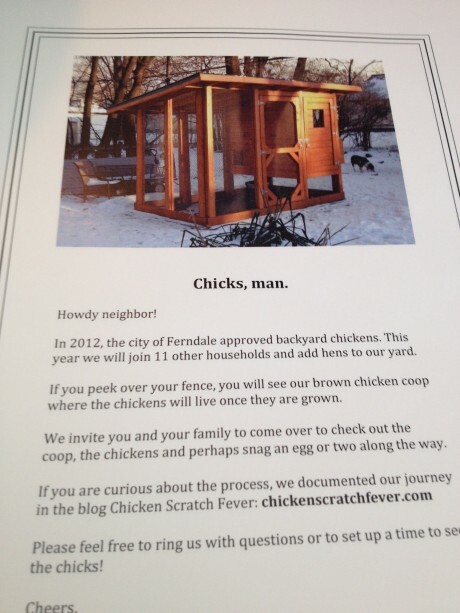 I wrote a letter (above) that detailed our plans, gave our contact information and a link to our blog, and invited them to come check out the coop. 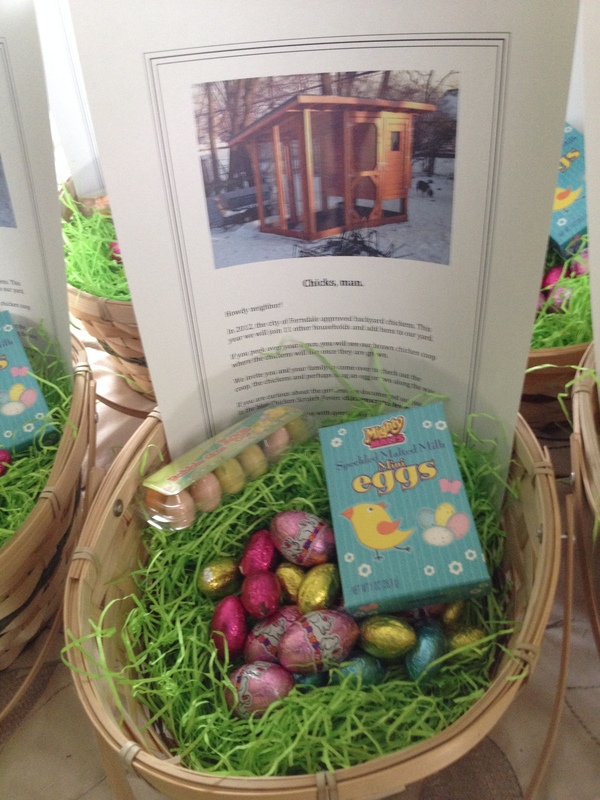 We also offered to answer any of their questions and promised fresh eggs come August. So far, I have passed out four of the six baskets, and the response has been wonderful! One neighbor on the backside of my yard said “Oh you’re the ones with the chickens” before I even got to introduce myself! Another neighbor mentioned she has a 14-year-old son who is enamored with chickens. We immediately invited them over once the chicks are big enough to go outside. Communication is key when starting an urban farm. Today we started a conversation that hopefully will grow for years to come.